It has been a busy week here in the Savory Lotus household. With a teenager and a toddler, my life gets pretty full. My saving grace when life gets hectic is homemade freezer meals. And meatballs are the ultimate easy freezer meal. 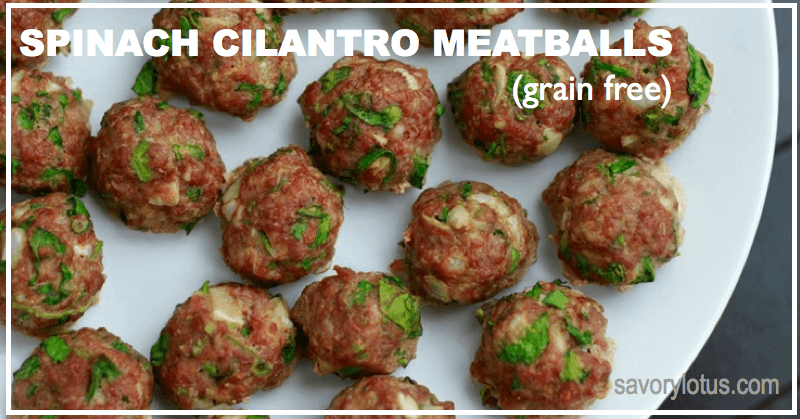 Introducing my grain free Spinach Cilantro Meatballs. Meatballs are the best way to get nutrient-dense goodness into your family. And they freeze really well. I keep a stock on hand in my freezer for evenings when I just don’t have the time or energy to whip up a gourmet meal. 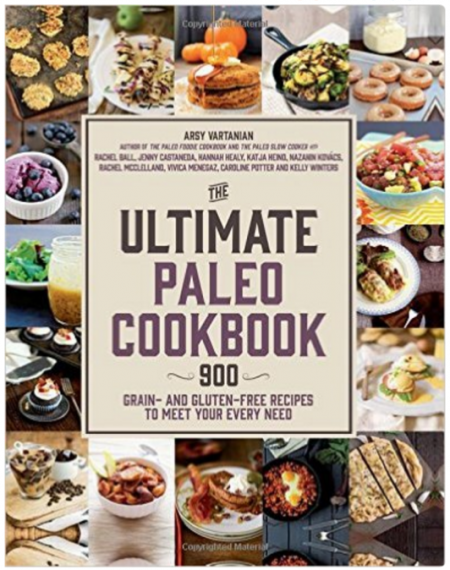 Steam some greens and bake a few sweet potatoes or winter squash, and BAM! Dinner is served. And meatballs are not just for dinner. They make the best on-the-go snack. Or try simmering a few in some homemade broth for a quick, easy lunch. REAL food doesn’t have to take forever to make. 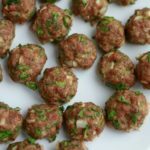 I used ground bison and ground pork to make these meatballs, but you can use any ground meat that you like. I find that bison is sometimes a bit lean to make a good meatball so the pork goes nicely with it. I’ve made these with grass fed beef as well. Either way, they are delicious. Like I said, it’s been a busy week. I’m off to defrost some meatballs for the fam. Wishing you a happy and healthy week. Preheat oven to 400’F and line with unbleached parchment paper (like this). Combine all ingredients in a large bowl and mix well until fully combine. I use my hands here. Roll into small balls and place onto prepared baking sheet. Bake for 25 minutes, until meatballs are beginning to brown and cooked all the way through. Enjoy! 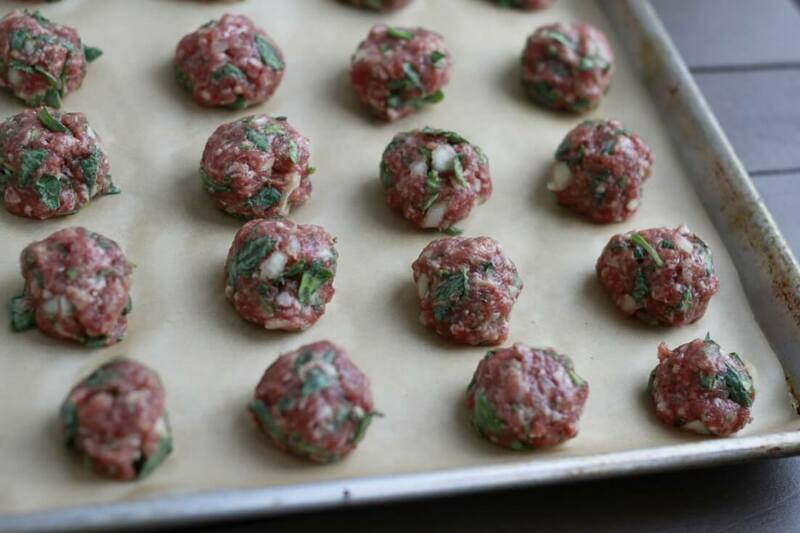 To freeze: freeze meatballs in a single layer then place frozen meatballs in a airtight container. Do you have a favorite homemade freezer meal? Please share in the comments. Yay! I’m so glad you enjoyed them. Sounds awesome with avocado dressing. Do you freeze the meatballs coo ked? I am making a batch tonight and excited to taste them. Hello! I made these meatballs for my family last week and we devoured them. There were absolutely amazing! However, I did sneak several in the refrigerator for breakfast the next day — even better for breakfast! We paired them with sweet potatoes and they went really well with them. I love that they are whole30 compliant. Guess what we are having tonight?? Yay! So glad you guys enjoyed them. I love to make big batches and freeze them for later. Easy dinners later on. Thanks so much for leaving feedback! Maybe a silly question but do you freeze then cooked or uncooked? I freeze them cooked. I defrost them and either heat them up in the oven (covered) or saute them up in a pan. I sometimes even throw a few frozen meatballs in some good broth and simmer until done. Hi there I just made these with ground chicken and noticed they didn’t really form balls well. Did I do something wrong or should have added something b/c of chicken? Pls help and how long on 400, is it still 25 min b/c of chicken? Hi, there! I have to admit that I have never made meatballs from ground chicken. Sounds like you need a bit more binder. I would experiment with maybe more egg and a sprinkle of grain free flour. I would check them a bit sooner than 25 minutes. Maybe start checking at 18 minutes and see if they are done. Hope that helps! These were a big hit at the dinner table tonight, even with my biggest critic (aka. my toddler). Wondering if you have a yogurt sauce to recommend with them the next time I make meatballs. Thanks! Thanks so much for this! So good and I use it every time I make the meatballs! Hi there, I was wondering if using nutritional yeast instead of the herbamare would change the taste too much. What do you think? Hi, Lacey! I don’t calculate for my recipes. I just focus in nutrient dense foods. But if you want to know, you can use this—-> https://www.myfitnesspal.com/ 🙂 Hope that helps! 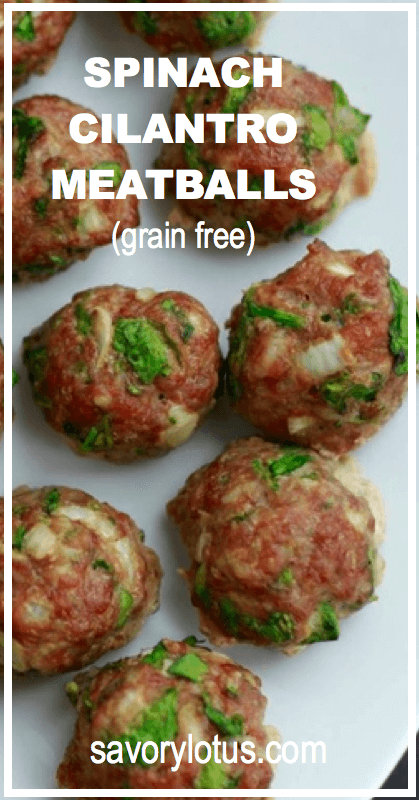 I am always looking for meatball recipes, and these take the cake! I used ground sirloin and they were juicy and bursting with flavor. Thank you!! This is our new FAVORITE meal! My only complaint about the entire meal is that I didn’t see the yummy yogurt sauce recipe in the comments section until I was already enjoying tons of meatballs! I used ground chuck/pork and they turned out perfectly. 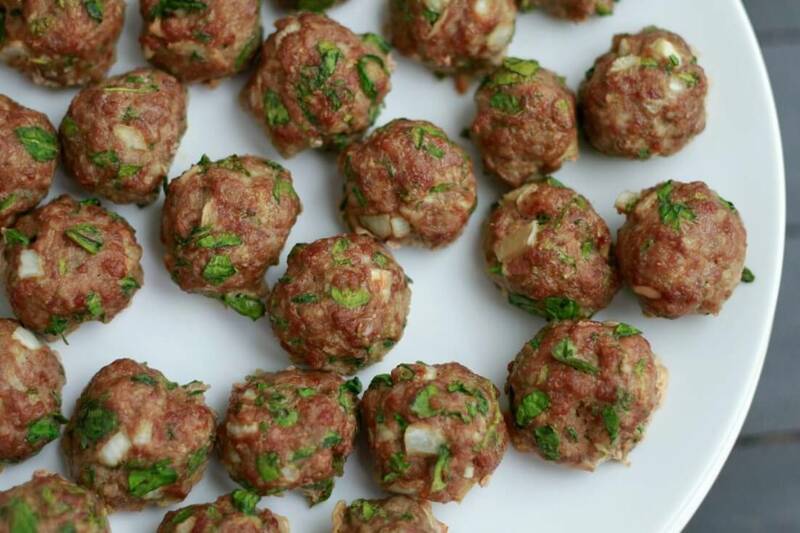 Thank you for such a healthy recipe of perfect meatballs! Great idea for the soup with meatballs! ? 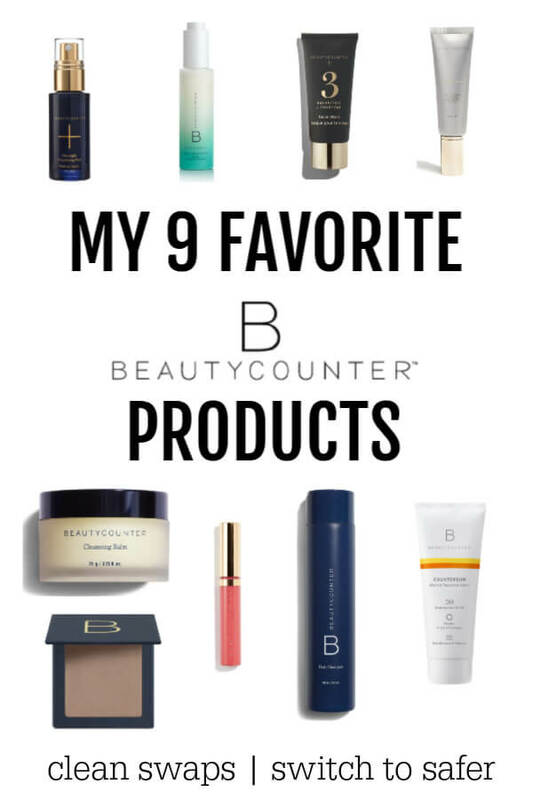 Thanks for the love, Katie! Can you put these in a crock pot for a pot luck? Do you mean to keep them warm? If so, yes. But be sure to not dry them out too much. Maybe a titch of water in bottom of crock pot to keep them moist??? How would you make these egg free? We have egg and nut allergies so couldn’t do almond flour either. Do you think flax eggs would work? I really want to try these! These are so delicious!!!! I make them all the time. Sometimes I make them into patties and throw them on the grill. I love these! I have also made them with Italian seasoning to use with red sauce and they are delicious, too. Interestingly, I have made meatloaf with spinach instead of bread or breadcrumbs for many years, but never thought of translating the idea to meatballs. Thanks so much, and I am going to try your yogurt sauce soon! So glad you like them. Meatballs are so easy and freeze so well. What are the nutrient values? Hi, Rita! I don’t calculate. I just try to focus on clean, healthy foods. But if you want to know, you can use this—> https://www.myfitnesspal.com/ Hope that helps. Thanks for stopping by. Have a sweet day.